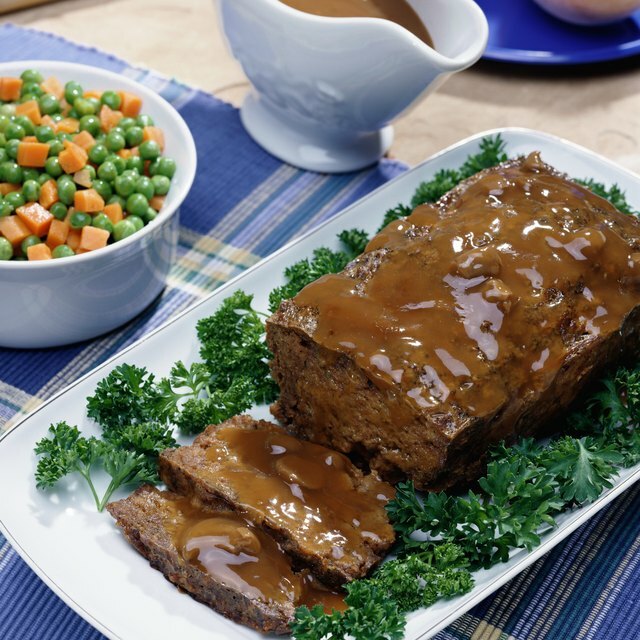 Shredded vegetables make a lighter meatloaf with more fiber. 2 Do Boiled Vegetables Still Have Fiber? Unlike pastries or cakes, where precise measurements ensure success, meatloaf is a forgiving food, allowing you to add a bit of this vegetable and a sprinkling of that one, with few penalties. That said, some vegetables that work better than others and you may need to make a few adjustments to the mix. 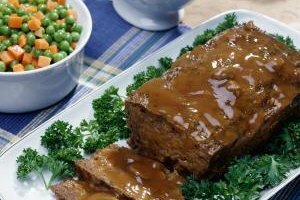 Shredded vegetables work in all types of meatloaf, from those made with 100 percent beef to those with a combination of beef, veal and pork. While a steady diet of red beef isn't good for anyone, a meatloaf made with less binder, more vegetables and the leanest ground beef or turkey you can afford makes it lower in fat and higher in fiber. Shredded vegetables add vitamins and minerals into your meatloaf, but they also replace some of the meat, help to use up leftover vegetables and allow you to experiment with small quantities of new vegetables you might not try otherwise, like fennel. There is no limit on which vegetables to use in meatloaf -- anything you can shred, you can add. The list for raw vegetables includes, carrots, fennel, zucchini and peppers. Vegetables with a high moisture content or those with dense flesh need cooking before you add them to the meatloaf mix. Cook those vegetables before shredding, in the case of potatoes, or shred them first and then briefly saute, steam or microwave, in the case of leafy vegetables like kale, spinach or Swiss chard. You can add as little as a few tablespoons of shredded carrots or zucchini to the meatloaf with no changes to a basic recipe. Potatoes, spinach, kale or chard can also be added raw if you only use a small quantity. If you want a few more vegetables, add 1/2 cup for each 1 pound of meat and increase the seasoning slightly, with ingredients like tomato paste, soy sauce or beef stock to bring out the meaty flavor. It's possible to use vegetables for up to three-fourths of the meatloaf, with the meat making up only one-fourth of the loaf. Because meatloaf is so flexible, you can experiment with varying proportions of meat to vegetables each time you have meatloaf for dinner. For large amounts of shredded vegetables, add 1 tablespoon of flour for binding and bake the loaf covered with foil for the first 30 minutes and uncovered another 20 to 30 minutes. Can You Cook a Pork Roast in the Crockpot Without Any Vegetables?